The project was developed with representatives from University Hospital Southampton NHS Foundation Trust, Thames Valley and Wessex Neonatal Network, Bournemouth University and Health Education England (South). Health Education England (South) has a responsibility to ensure that NHS employees are equipped with the right skills and knowledge to deliver excellent health and patient care. In Health Education Wessex, over half of all neonatal unit admissions are term babies (>= 37 gestational age) some of which could potentially have been avoided. A study of neonatal unit admissions at University Hospitals Southampton NHS Foundation Trust demonstrated that the three main reasons for term admissions are related to poor perinatal adaptation (27%), respiratory distress symptoms (18%) and sepsis (13%); some of which, with improved, consistent care in the postnatal period, may well have been avoidable. Data over the last three years from Thames Valley & Wessex Neonatal Network, reflects that term admissions have consistently accounted for just over 50% of admissions to the neonatal units. The problem is also reflected nationally, it is cited in the patient safety category (5.5) of the NHS Outcomes Framework – “Treating and caring for people in a safe environment & protecting them from harm” – and NHS England also recognises this increase in term admissions as a key concern. The psychological impact of separation can have lasting consequences on both mother and baby; establishment of breastfeeding can be more complex; and there is increased risk to the baby of potential harm as a result of medicalisation. There is also an impact on resources; it costs on average at least £500 a day to care for a baby receiving specialist neonatal care. Units that have reduced rates cite midwifery and obstetric involvement as crucial. Likewise, the role of the multidisciplinary team in taking a preventative approach through recognising the untoward or high risk event is considered key. You will work through a number of realistic scenarios, facing situations that you will encounter as part of your work, and be asked to make decisions based on clinical situations as they unfold. These are divided into 4 different roles, of which you will select the one appropriate to you. Our simulated patients and staff volunteers for photographic images. Our review team comprising of obstetric, midwifery, neonatal nursing and paediatric professionals. 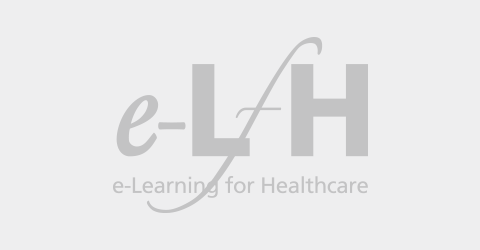 If you already have an account with e-LfH, then you can enrol on to the Reducing Avoidable Term Admissions programme by logging in to the e-LfH Hub, selecting My Account > Enrolment and selecting the programme. You can then access the programme immediately in the My e-Learning section. The Reducing Avoidable Term Admissions programme is also available to NHS healthcare staff via the Electronic Staff Record (ESR). Accessing this e-learning via ESR means that your completions will transfer with you throughout your NHS career.